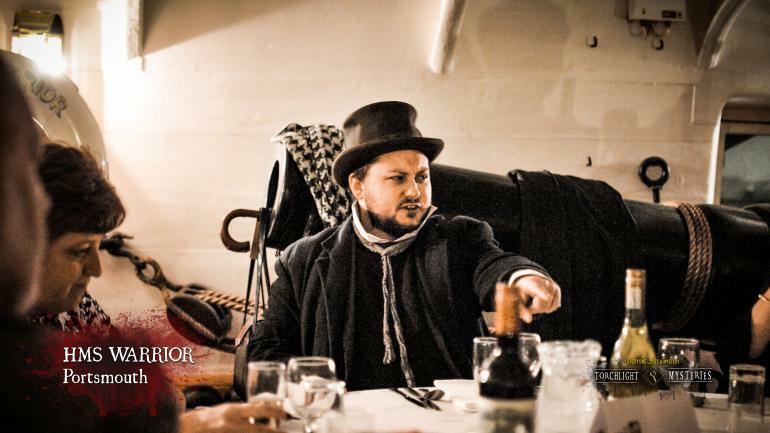 Murder aboard the Warrior as Torchlight Mysteries brought another baffling case of Victorian Melodrama to HMS Warrior in Portsmouth Dockyard. 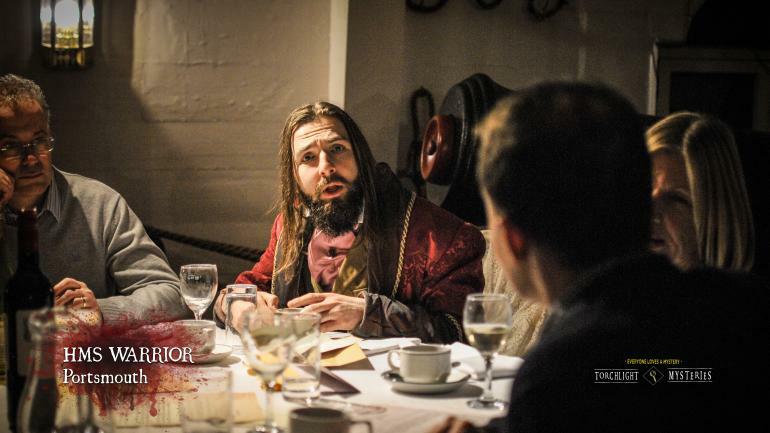 Six Dickensian characters hosted six tables of diners as the mysterious disappearance of Jacob Marley was announced. 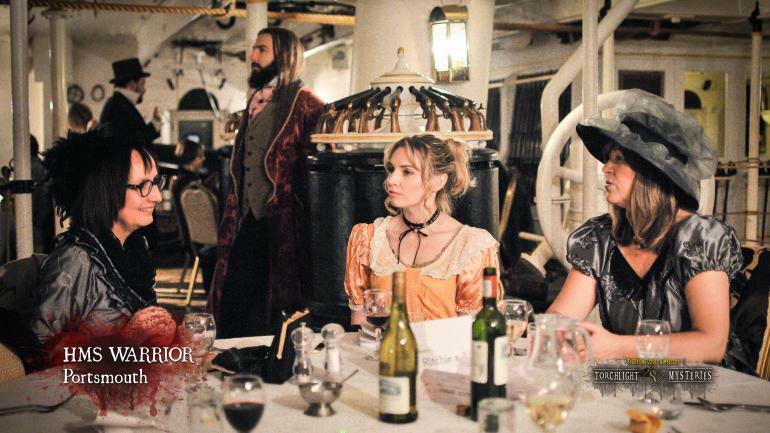 The hosts and diners searched the ship for clues and interrogated the suspects between courses. Thanks to cunning sleuthing one table managed to guess the correct solution and apprehend the murderer. 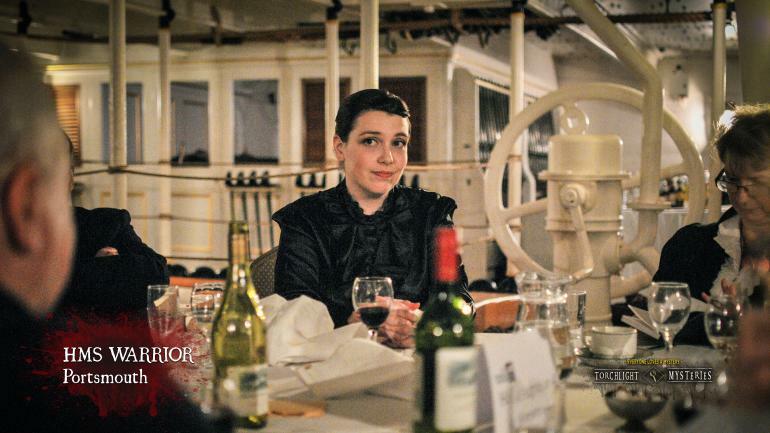 Theatre of Dark Encounters brings the very best of immersive dark theatre. 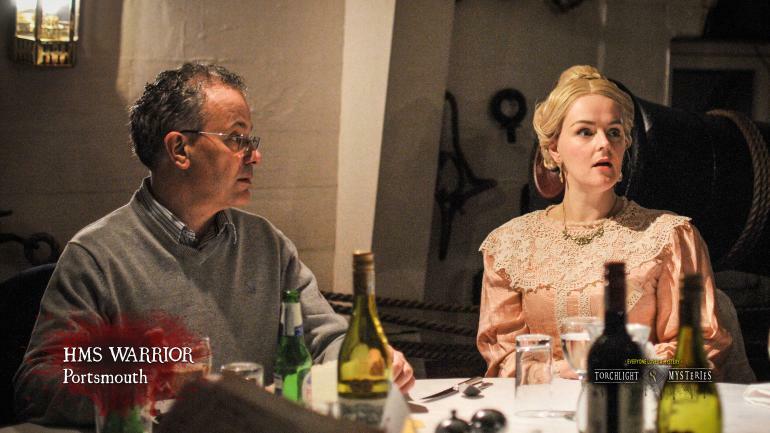 The original Ghost Walks, Murder Mysteries and Victorian Gothic Theatre since 2005.